If you have a deck or patio, it can be so fun to entertain in your own outdoor spaces. But, if you don’t feel like cooking, and still want to enjoy a drink or meal outside, take a look at CCA’s top picks for al fresco dining in LoCo! 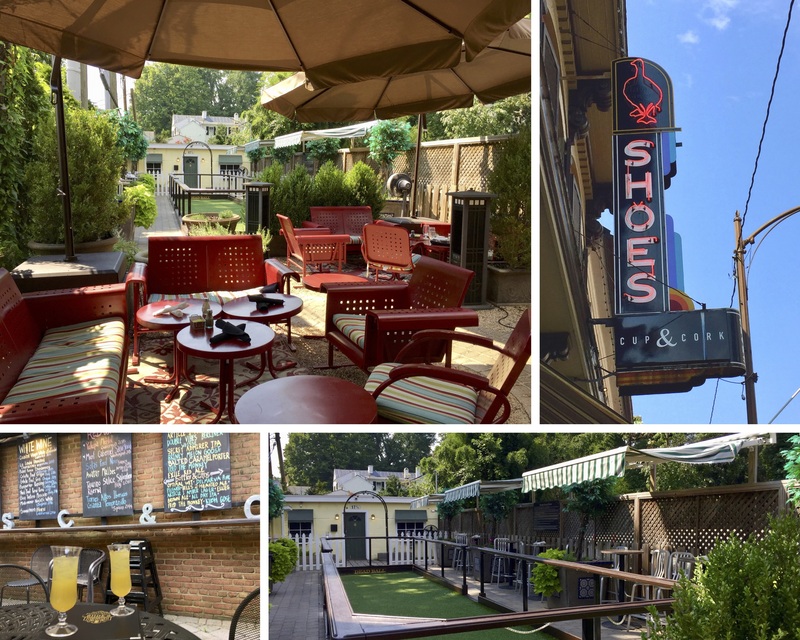 Shoes Cup and Cork has it all–great coffee, delicious local fare from their from-scratch kitchen, and a yummy beverage menu that features Virginia wines and beers. 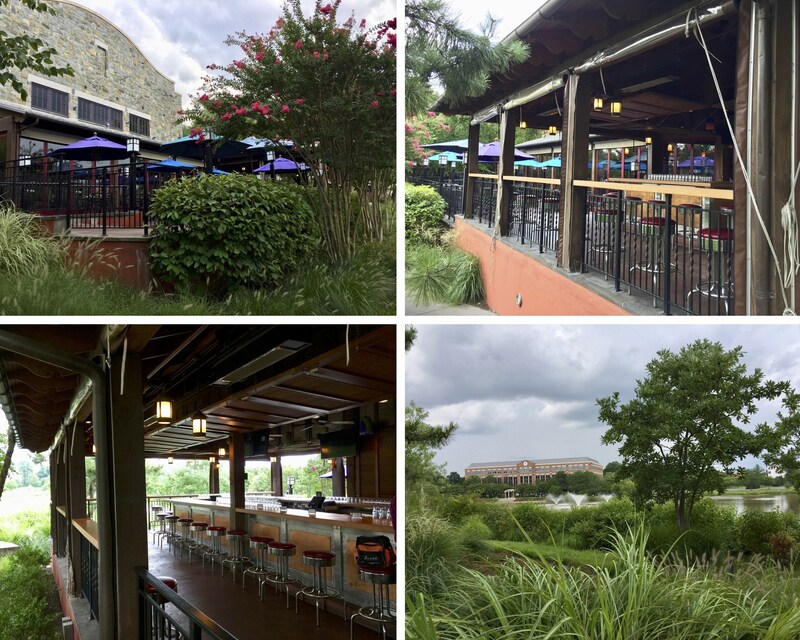 It’s location in Downtown Leesburg features 3 separate dining experiences, including an indoor cafe and a “speak easy.” The “Secret Garden” around back provides a variety of spaces as well–including shady outdoor dining tables, cozy chat sets, and even a full bocce court! 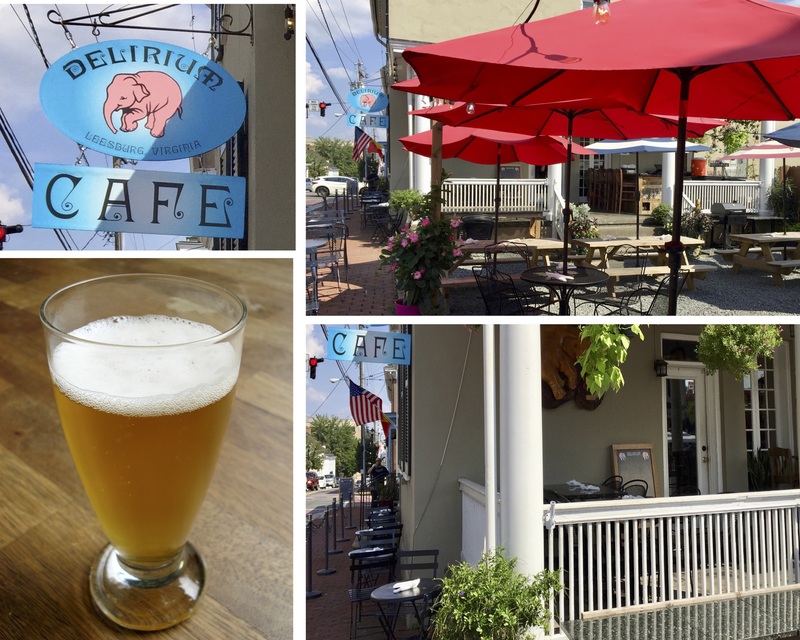 Delirium pairs an Old World Belgian style beer-centric cafe with an outdoor Biergarten for a unique drinking and dining experience. The drink menu features over 300 beers, wines, and spirits from all over the world, while the dining menu includes foods with locally sourced ingredients, creating the perfect melding of outdoor drinking, dining, and culture–all in Downtown Leesburg. You can find some of the best wood-fired pizza and craft beers right in the heart of Downtown Leesburg at Fireworks American Pizzeria and Bar. The dining menu features a variety of signature pizzas, light bites, and calzones inspired by ingredients from the local farms of the area. 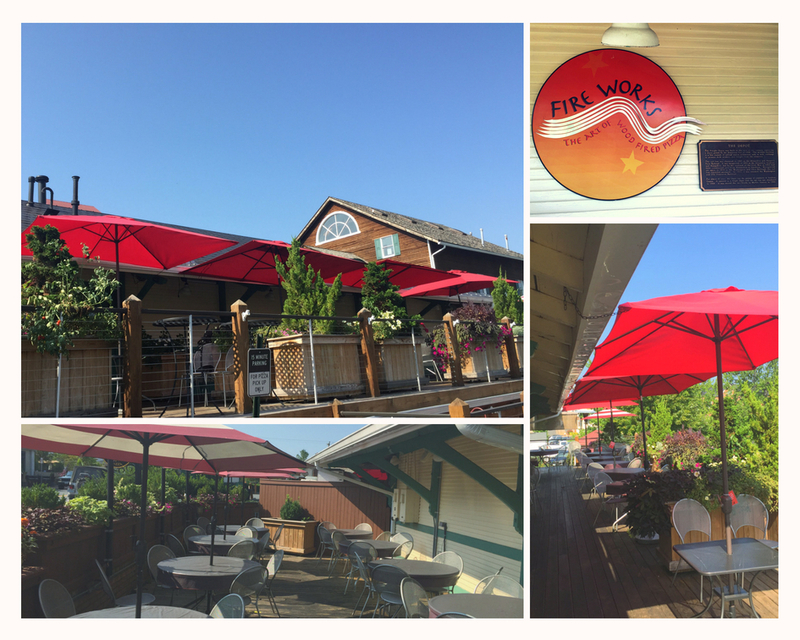 The family friendly/pet friendly outdoor dining area features two spacious deck. Just off the W&OD Trail, Fireworks provides a great place to reload with some carbs after a long ride! 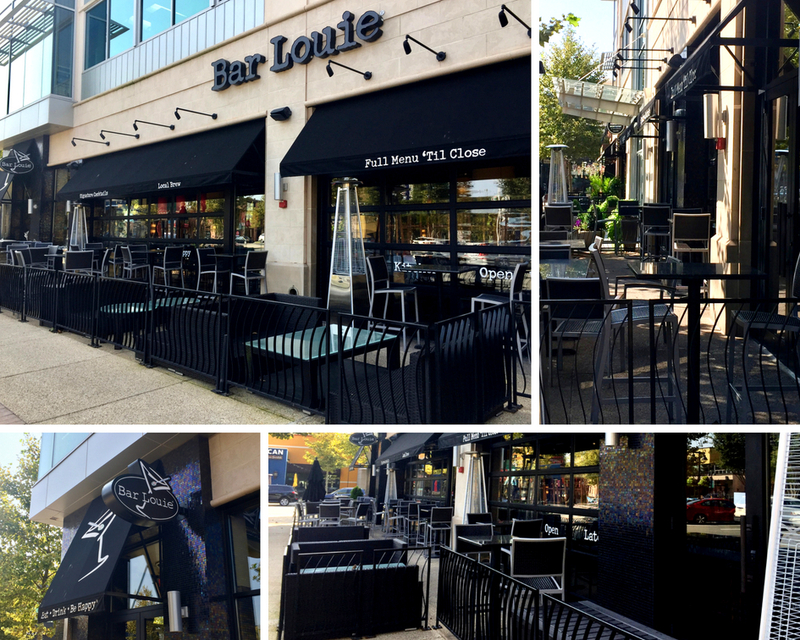 This national chain bar truly feels like the corner bar at One Loudoun. The spacious outdoor seating areas get even larger when the restaurant opens their “garage doors,” allowing the light and fresh air to pour into the rest of the restaurant. Bar Louie features an extensive martini and cocktail menu, along with an ample selection of wine and beer. If you’re hungry, you’ve got plenty to choose from, including some great burgers (only $5 on Tuesdays! ), apps, flatbreads, and more. 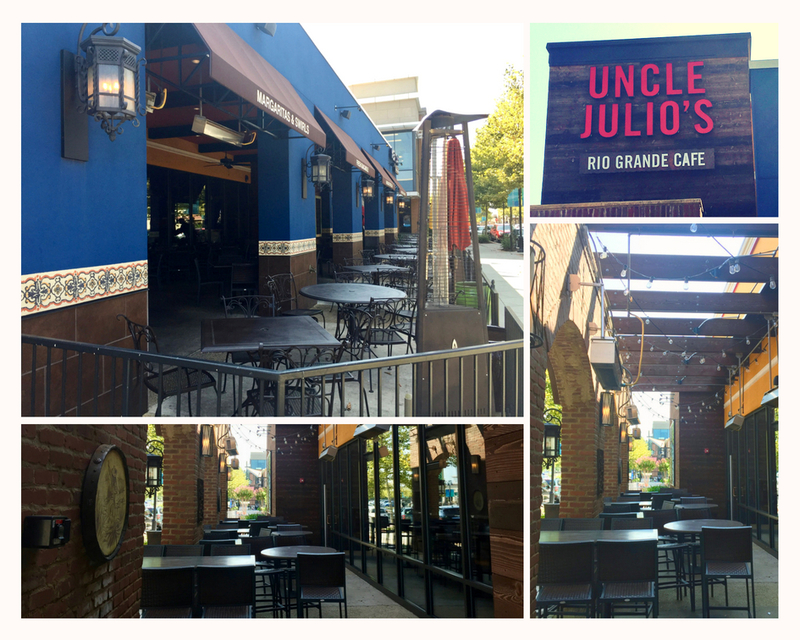 Great from-scratch Tex Mex food and outdoor dining go hand in hand at Uncle Julios at the One Loudoun location. 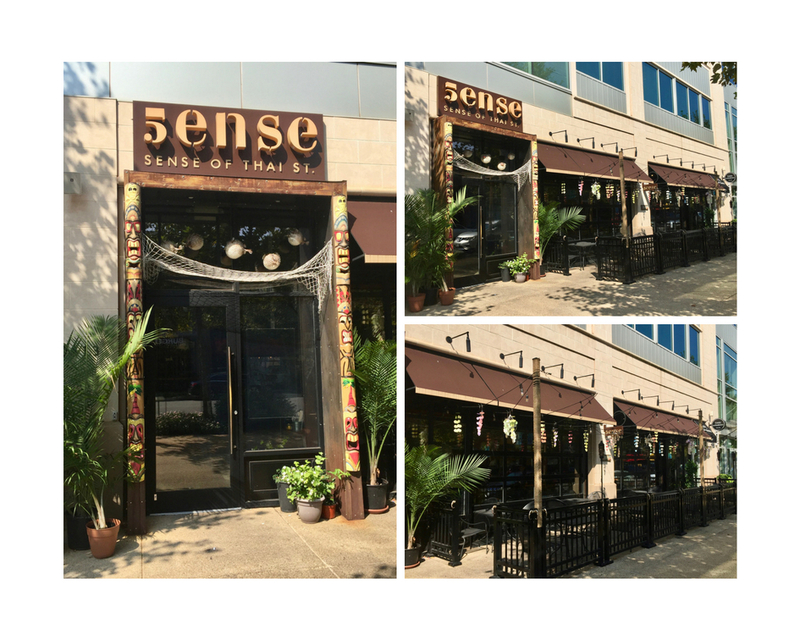 Covered and uncovered outdoor dining spaces provide lots of extra room on gorgeous weather days for diners looking to dive into some table-side guac or some of Uncle Julio’s famous fajitas with house made tortillas. Take advantage of their Monday specials…$5 Pad Thai special…and 1/2 price bottles of wine! Bungalow Lakehouse embodies everything that an American Restaurant can be–smart casual dining, a sports pub, and an enormous terrace with a lakeside view. The terrace often features live musicians in the evenings. If you’re looking for a weekend brunch, you’ll find a great menu on Saturday and Sunday…including a bloody mary bar! Is corn hole your game? You’re in luck–enjoy playing a game, or watching the antics from the covered gazebo. 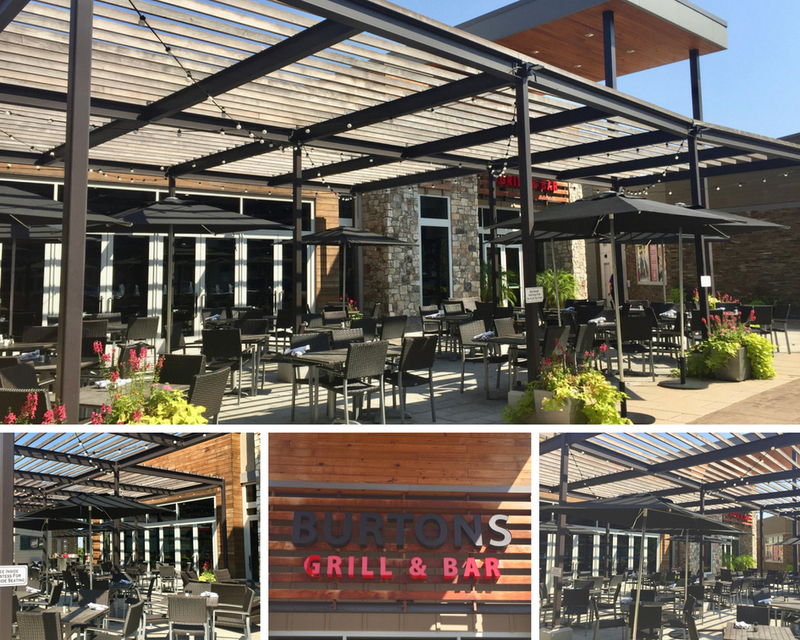 With their stated goal of “Delighting Every Guest,” Burtons takes the term “scratch kitchen” to a whole new level. Entrees are made to order and customizations are welcome. In fact, diners with allergies have meals prepared in a separate kitchen to avoid cross-contamination. The large patio out front allows patrons to enjoy people watching around Cascades Overlook while lingering over a great meal. It’s “never too late to be a cowboy” at Sweet Water Tavern! This local microbrewery features a flair for Western American cuisine with a rotating menu of brews and wide ranging menu with family favorites. In addition to the enormous indoor bar, the restaurant features a seasonal outdoor bar where you can enjoy your beer or cocktail. 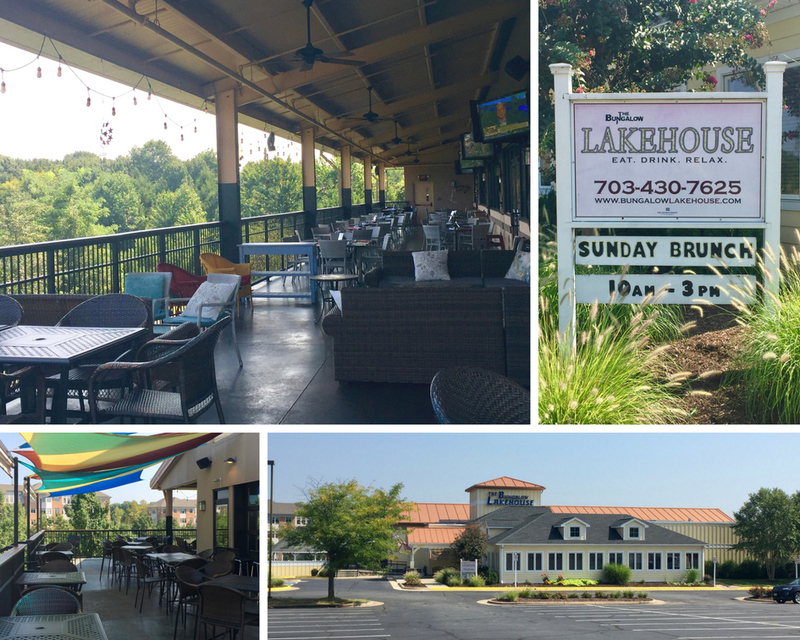 You can also enjoy a more relaxing meal on the large patio overlooking the lake. 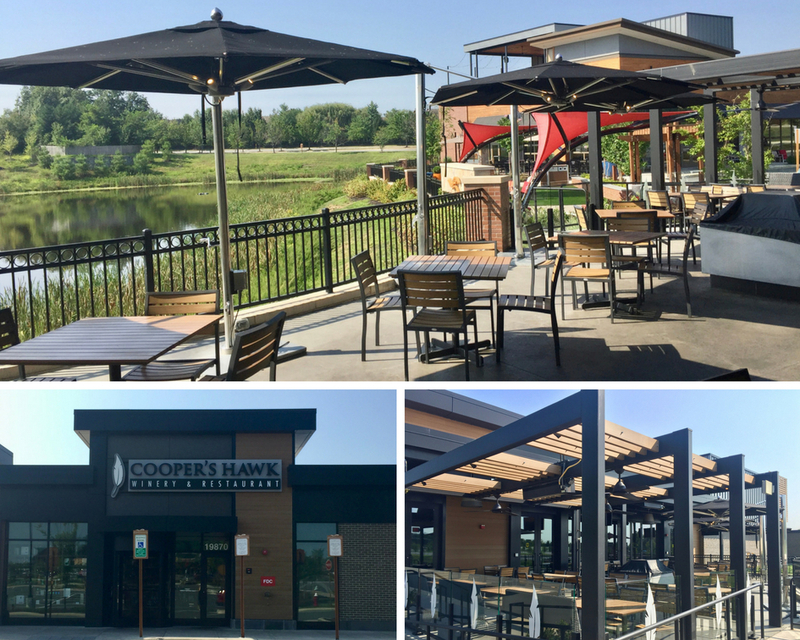 If you’re looking for a winery experience from the comfort of the suburbs, look no further than Cooper’s Hawk Winery and Restaurant! Enjoy a tasting at the Napa-inspired indoor tasting bar, then head on outside to the large patio for a delightful dining experience from their extensive menu. You can count on the CCA Team as your local Loudoun expert. Contact us any time for information about the area, neighborhoods and real estate goals.